Shopping for family and friends for Christmas can be difficult if you’re not entirely sure what they’d like to unwrap. 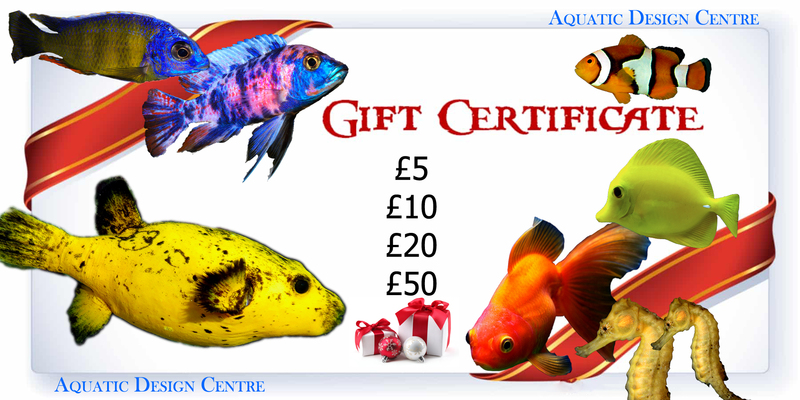 However, with The Aquatic Design Centre Gift Voucher, you can be confident you’ve found them the perfect present. We offer many types within your budget range. Grab Yours in Store Today. 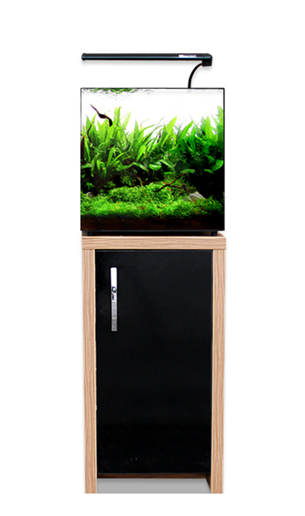 We also have a new range Aqua One aquariums which offers a complete aquarium system, packed full of fantastic features. The modern and seamless design is perfectly coupled with quality, practicality and versatility. With Zero clutter, all equipment (built-in filter & heater) hidden in the back. 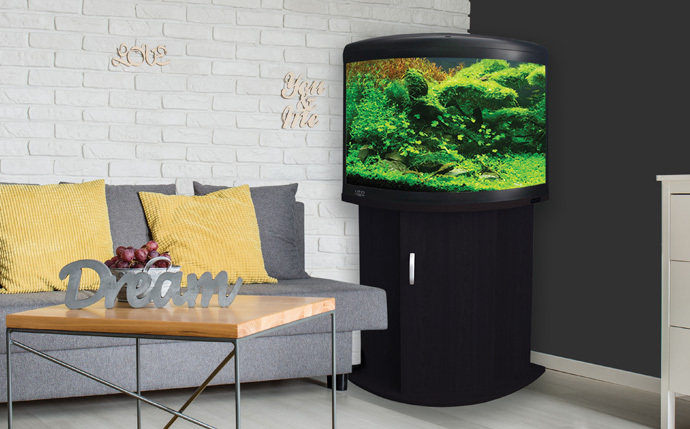 Minimalist aquarium design, Silicone free rounded glass corners, Complete with powerful LED lighting and heater, We a range of Inspire cabinets complete the look. Receive a £5.00 Credit Note Voucher for livestock with any aquarium purchase. Also Receive a £5.00 Credit Note Voucher for livestock with any aquarium purchase. 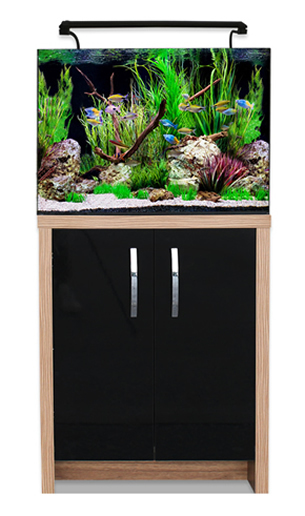 This space saving corner aquarium is a stylish addition to even the smallest room. Supplied complete with filtration and lighting built into the slim line hood. Space saving corner design. 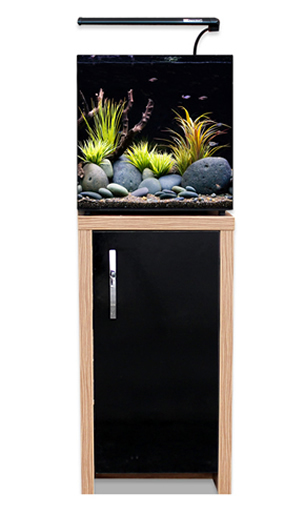 Beautiful 100 litre corner aquarium offering greater depth and a panoramic front for fantastic views. High performance, low maintenance trickle filter. Bright, energy efficient LED lighting. A stylish little tank that doesn’t compromise when it comes to quality. With Optiwhite glass, high powered MariGlo blue and white LED’s, spacious back filter and high performance hang on skimmer, this is the perfect tank to house your own Nano Marine World. Aquarium: 33 x 33 x 33 cm. Cabinet: 40 x 40 x 75 cm.